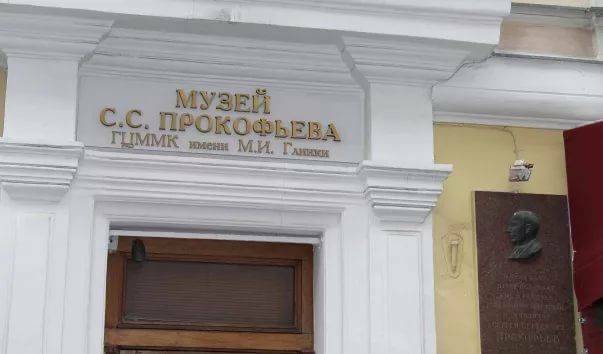 The Sergei Prokofiev MuseumRussian: Muzey Sergeya Prokofieva or Музей Сергея Прокофьева in Moscow is dedicated to the outstanding Russian composer, pianist and conductor of the first half of the 20th century. 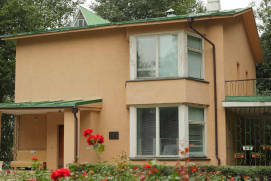 Prokofiev spent the last six years of his life (1947 to 1953) in this communal apartment in Kamergersky LaneRussian: Kamergerskiy pereulok or Камергерский переулок. 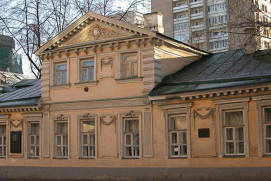 The parents of Prokofiev’s second wife, Mira Mendelssohn, shared the apartment with the Prokofievs. 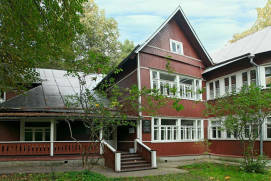 Sergei Prokofiev wrote his last compositions here, including the Seventh SymphonyRussian: Sedmaya simfoniya or Седьмая симфония. 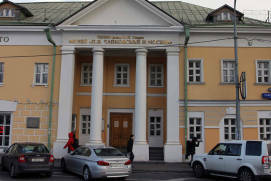 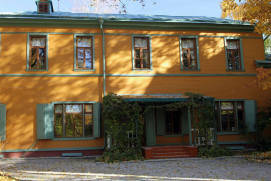 Many celebrities, among them S. Richter and M. Rostropovich, frequented this apartment on their visits to the Prokofievs. 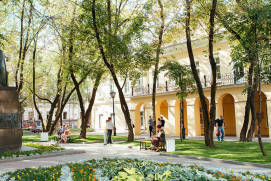 Kamergersky Lane is one of the most popular locations in old Moscow. 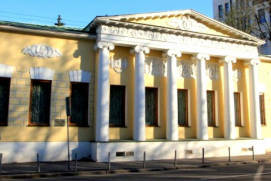 Almost all of its buildings are architectural landmarks, closely linked with the history of Russia’s capital. 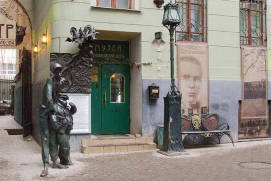 Many famous writers, actors, artists and musicians lived in this neighbourhood in the 19th and 20th centuries. 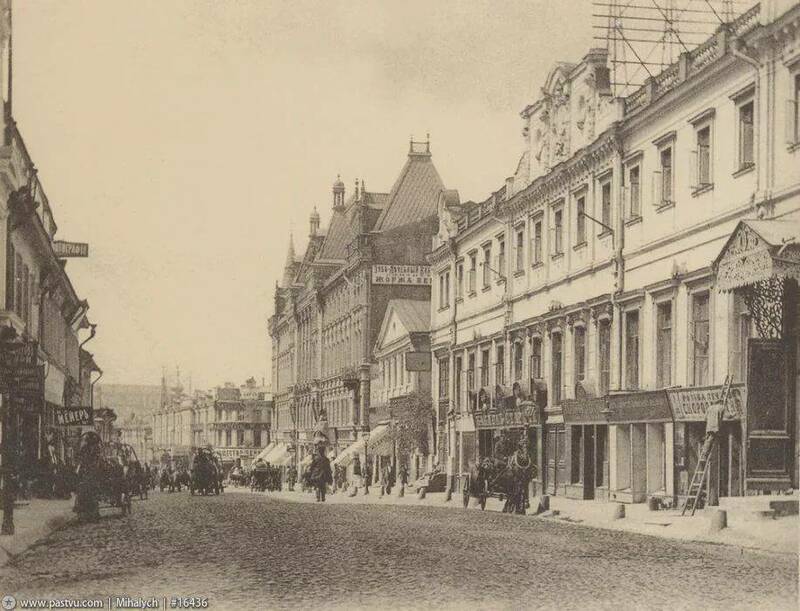 Today, this beautiful pedestrian lane is popular with Muscovites and tourists alike, who come to stroll and explore the historical centre of Tverskoy DistrictRussian: Tverskoy rayon or Тверской район. 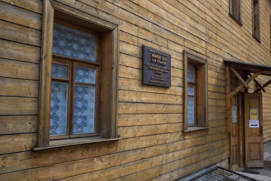 The tenement house No. 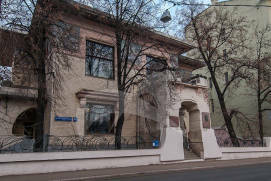 5/6, which was built on the site of the former premises of the St. George MonasteryRussian: Georgievskiy monastyr or Георгиевский монастырь, underwent renovation and was topped with new levels in the late 19th century. 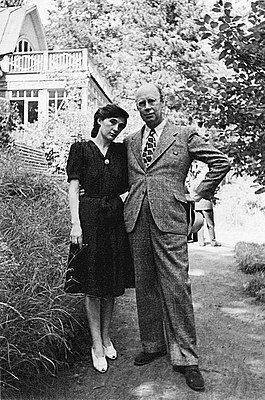 Prokofiev moved in with his second wife-to-be in 1947 and married her the following year. 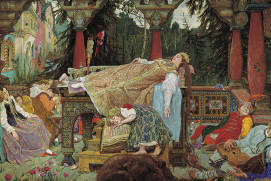 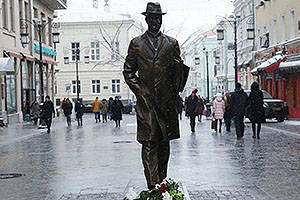 Here, he wrote a number of musical compositions, including the Seventh symphony, and worked on a ballet, The Tale of the Stone FlowerRussian: Skaz o kamennom tsvetke or Сказ о каменном цветке. 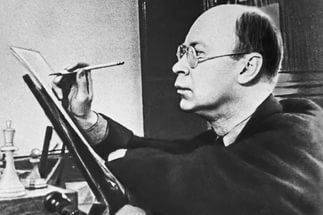 Sergei Prokofiev died on 5 March 1953, the same day as Joseph Stalin. 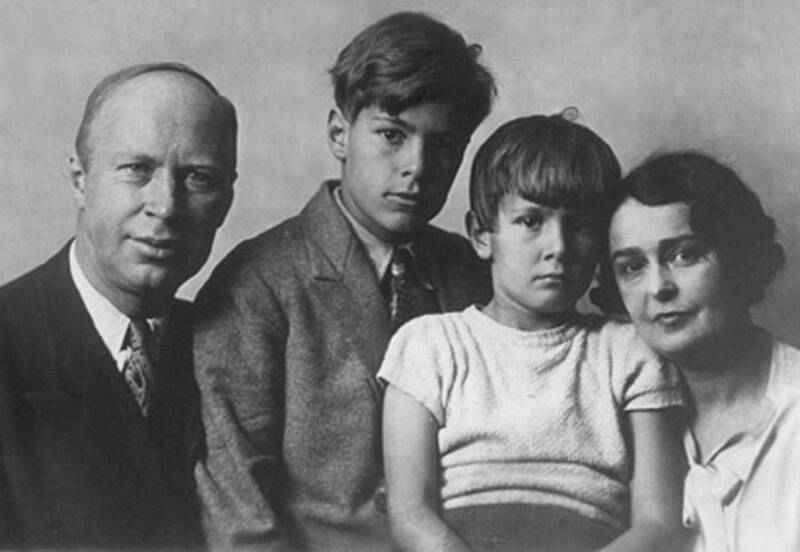 His family and friends had a lot of trouble burying him, because all city services were severely affected by Stalin’s funeral. 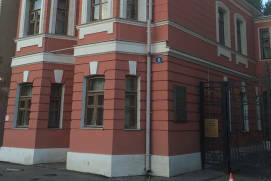 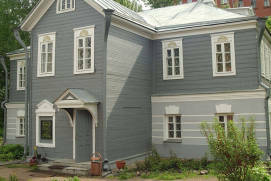 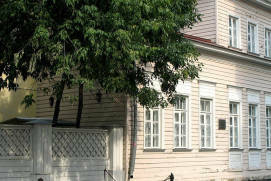 A plaque in memory of Prokofiev was later mounted onto the exterior of the house and the apartment became the property of the Glinka MuseumRussian: Muzey imeni Glinki or Музей имени Глинки in 1995. 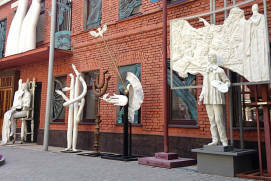 The museum itself was opened in 2008 and, after several years of upgrades, extended beyond the boundaries of the cramped communal apartment. 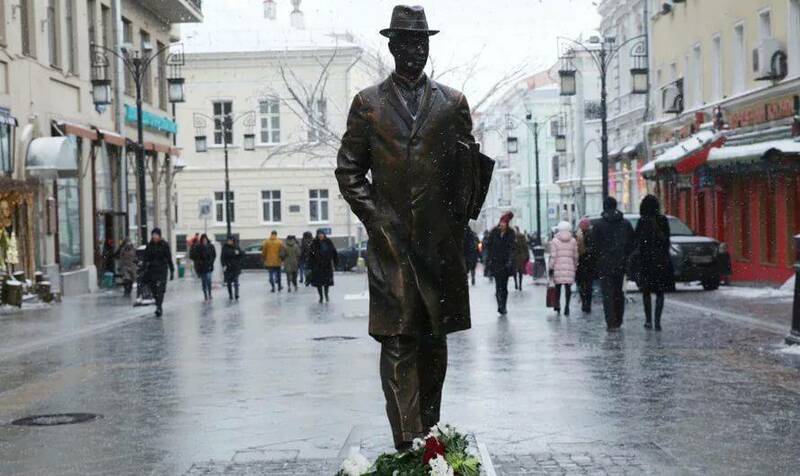 A monument to Sergei Prokofiev was unveiled in Kamergersky Lane in December 2016 to commemorate the 125th anniversary of his birthday. 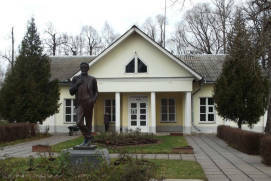 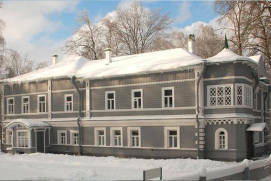 The museum could not exist without Prokofiev’s personal effects, bequeathed to the Central Museum of Musical CultureRussian: Tsentralnyi muzey muzykalnoy kultury or Центральный музей музыкальной культуры by his widow. 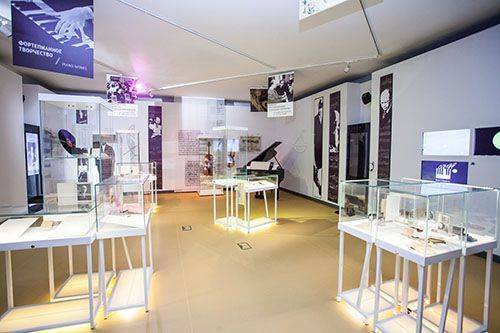 On display are many authentic documents and Prokofiev’s autographs, books and sheet music, along with musical instruments, everyday objects and clothing. 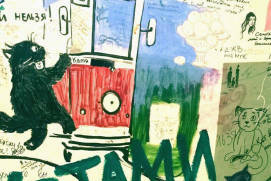 The museum contains many unusual objects illustrative of Prokofiev’s varied interests. 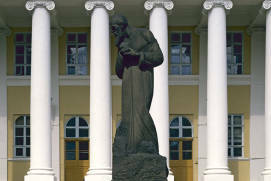 A well-rounded and highly intellectual man, he showed interest in different areas of science and art, which often had little to do with music. 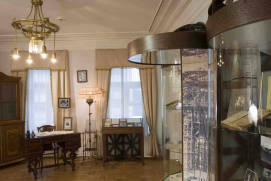 The museum begins at the Stalinist staircase, a style that is continued throughout the apartment. 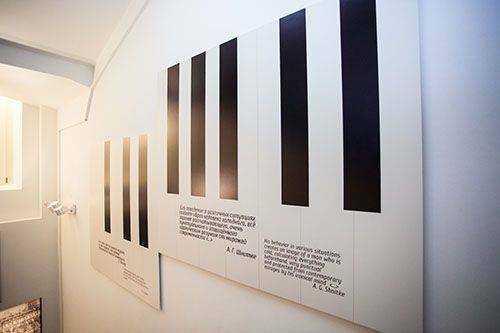 The museum staff have done their best to recreate the atmosphere of Prokofiev’s music – bright, unusual, way ahead of its time and the precursor to many new melodies and themes. 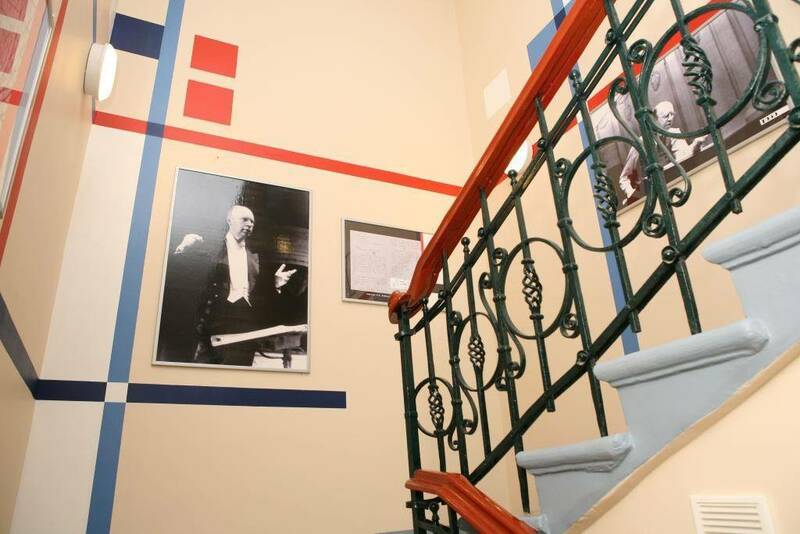 The walls above the staircase are decorated with posters and photographs, all in a style reminiscent of 1930s Stalinist Moscow. 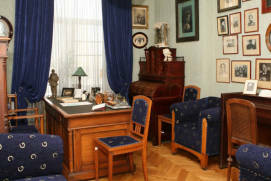 The apartment contains a living room, Prokofiev’s study and two other rooms that display exhibits associated with Prokofiev’s family and friends. 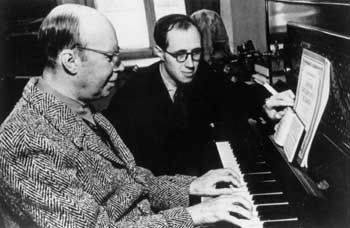 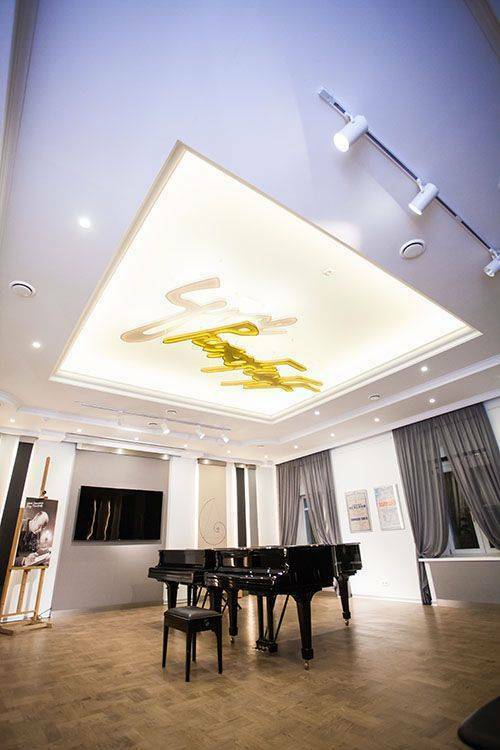 The living room is dedicated to Prokofiev’s partnership with I. Stravinsky and S. Diaghilev and his friendship with French artists and musicians. 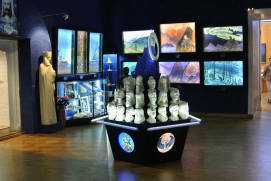 On display are many set designs for Prokofiev’s ballets, rare photographs of Prokofiev on vacation and his personal effects. 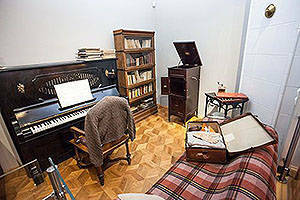 Prokofiev’s study features exhibits echoing many aspects of his personality, his hobbies and habits. 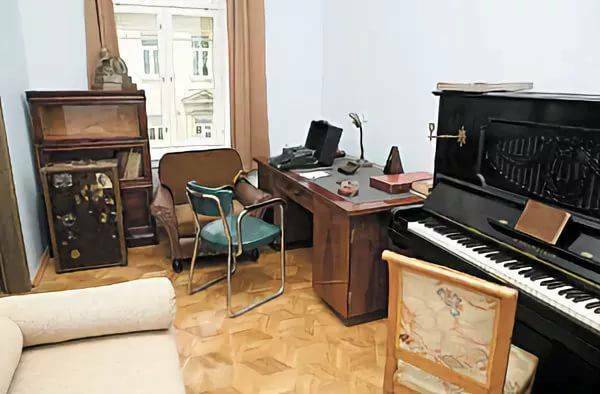 Among the books on the table are Pushkin’s Eugene Onegin and several agricultural journals; Prokofiev’s father was an agronomist and his son maintained a life-long interest in agriculture. 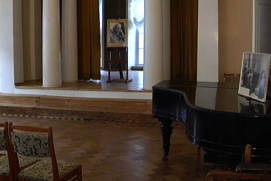 Prokofiev was interested in fashion, despite his otherwise simple lifestyle – his unusual clothes are displayed in the museum. 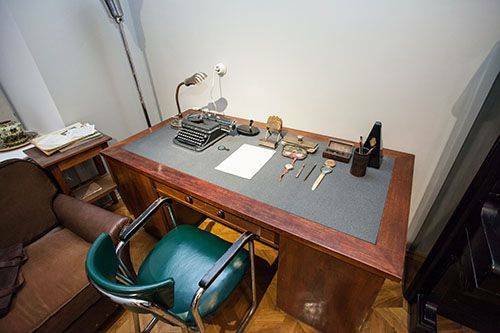 On display is his old chess set. 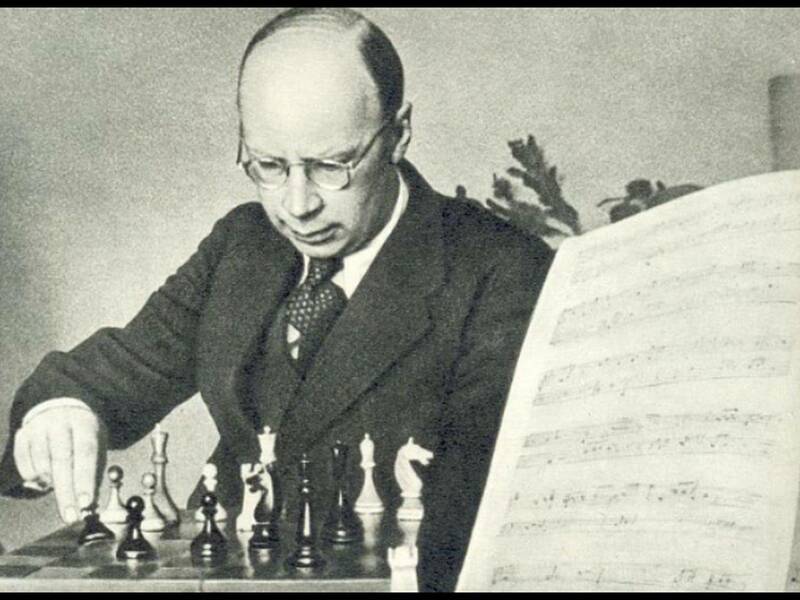 Prokofiev was a good chess player; he was friends with the world chess champion, Mikhail Botvinnik. 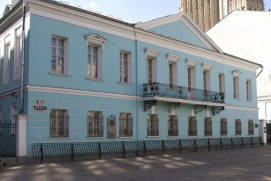 The museum’s concert hall, located downstairs, is magnificent, albeit small. 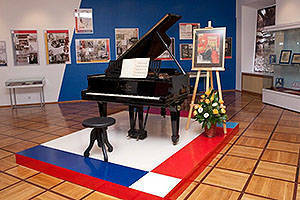 It features Prokofiev’s grand piano and other rare musical instruments. The exhibit also includes authentic costume designs for The Love for Three OrangesRussian: Lyubov k tryom apelsinam or Любовь к трём апельсинам, an opera written by Prokofiev in 1927. 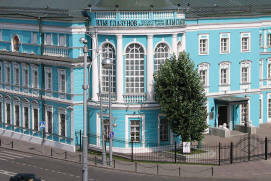 The concert hall holds various events for classical music lovers as well as classes for children. 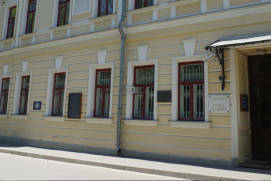 The museum is open to visitors of all ages and is very hospitable to all visitors. 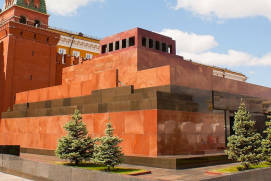 From 100 rubles depending on visitor's category and programme of visits. 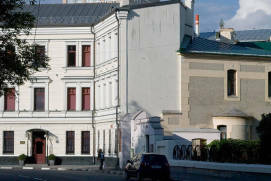 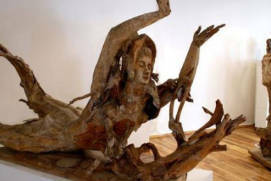 The Museum organizes master classes, concert evenings, and group tours.